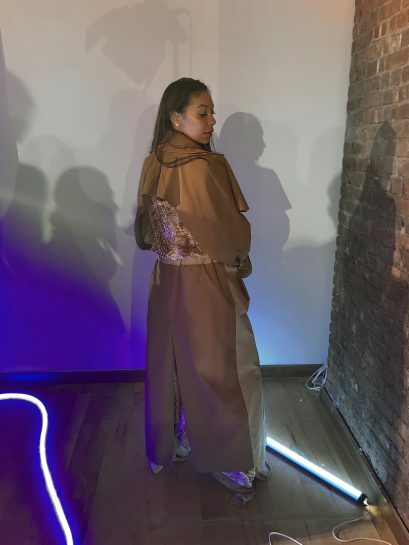 A third-year fashion student at the University of Salford, who has recently shown her collection at New York Fashion Week, said first-hand experience of production and manufacturing gave her a valuable insight into the fashion industry that she believes will set her apart in her future career. 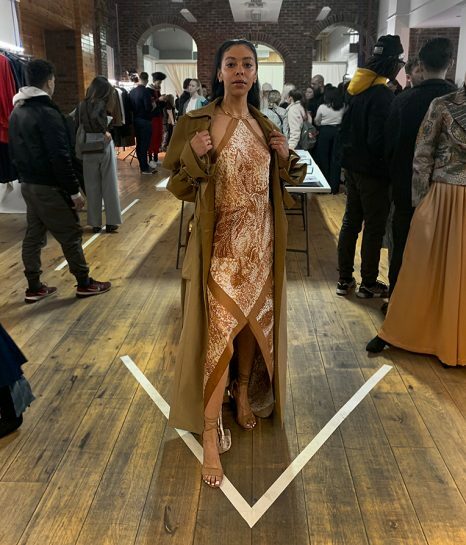 Natalie Slater was part of UKFT’s Made It programme, which took place in autumn 2017, and aimed to give fashion design students a better understanding of sourcing, production and the business benefits of selecting a UK-based manufacturing strategy. It involved a series of masterclasses at five universities during which, students were asked to use what they had learnt to research, design and develop a fully UK made collection for a high street retailer. One student from each University was selected to receive sponsorship and support from the Made It campaign to go through the full production process with a UK manufacturer, receiving mentoring throughout. Slater was selected to work with Sourgrape, a London-based high-end womenswear manufacturer, where she was guided through sourcing, costing, methods of communication the importance of accuracy and problem solving, as well as the importance of establishing good working relationship with a manufacturer. 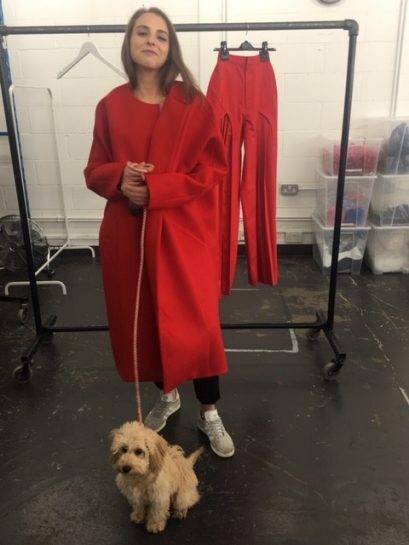 Since the Made It programme, Slater has completed an internship with Adam Lippes in New York, Emilia Wickstead in London and was selected to show at New York Fashion Week with a delegation from the University of Salford. She said: “Made It offered such a valuable experience for students to really get to understand the industry. The experience I had with the project made me so much more aware of how the industry worked and more specifically the information you need to know and deliver to come out with the product that you want at the end. She explained that the experience made her more aware of the importance of costings, taking into consideration the amount of fabric to use, how much it costs and how the pattern is developed. “Even the little things that I was shown, that people might not realise is so important, helped me learn so much,” she added. “The finishes to your garment are so important. I was shown multiple finishes, using hand sewing techniques, that were applied to the outfit that I was working on. I can now apply these to future garments, which can help me achieve the quality I want. UKFT is committed to changing the image of the manufacturing sector and ensuring that the UK’s design graduates leave university with the knowledge of the opportunities that exist on their doorstep. The UK has a fantastic array of manufacturing capabilities, covering sampling, prototyping and production capabilities for all stages of the supply chain including yarns, fabrics and trimmings to clothing, knitwear, accessories and leather. To read more about UKFT’s Academic Membership, please read more here.